Located in the heart of Clerkenwell, just a stone’s throw from the famous Smithfield Meat Market, is the Hurford Salvi Carr City and Clerkenwell sales office. Established in 1996, our sales division has been helping clients with their property sales and purchases since then. In fact the Hurford Salvi Carr City sales office was the first to open in Clerkenwell and the staff have accompanied the area’s evolution; the birth of the British loft scene; the popular rise of the factory conversions and more recently the arrival of the new luxury apartment buildings. As a result, our long established team of property specialists has a wealth of market and local area knowledge, which enables them to provide unique insight into the different residential and commercial properties that make up this diverse area. 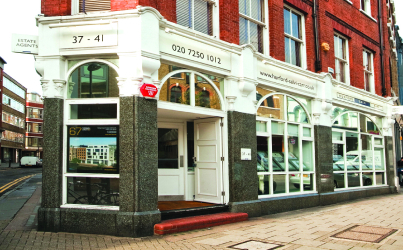 In fact because no two streets are alike our clients find the comprehensive local knowledge and insight offered by the Hurford Salvi Carr City and Clerkenwell property agents invaluable.